Below you can find out more about our incredible teaching staff and their superb track records at delivering impressive results at A-Level. We’ve posted videos alongside many of our teacher profiles so you can actually hear from them directly and see them at work. The NCS appoints its first Principal: We are delighted to announce the appointment of Mr. Ismail as the first Principal at the NCS. He was previously Director of Sixth Form at Seven Kings High School, one of the most successful sixth forms in London. He was born and grew up in East London and he knows the importance of a good education only too well; following his school and university studies, he became a successful lawyer. Mr. Ismail then decided that he wanted to help other local young people enjoy the same benefits that academic success can bring and became a teacher at Seven Kings High School. He quickly proved himself an outstanding Economics teacher and gained rapid promotion to the post of Director of Sixth Form at Seven Kings. Mr. Ismail is also a very talented cricketer (he has played for Essex!) but now he has set his sights on making the NCS one of the country’s leading A Level centres. He brings all his experience and success of leading a Sixth Form to the NCS and is a man with a mission. Here he gives us an insight into his plans. Why have you joined The NCS as Principal? What is your vision for The NCS? “My biggest challenge is convincing young people and parents about the potential of the NCS in the short period of time I have until we open. However, in my recent contact with students from partner schools and beyond I am beginning to see views change. It is true that whilst the NCS itself as a Sixth Form does not yet have published results, the world class teachers joining the NCS come with an outstanding record of delivering some of the best A Level results in the country. Why should ambitious students join The NCS? What is the key to creating an outstanding Sixth Form? “The key to creating an outstanding sixth form is having dynamic and inspiring teachers who go the extra mile to give their students the very best experience. You have to give students the confidence to believe that they can achieve their ambitions and dreams and any obstacles they may face can be overcome with support. A Sixth Form should inculcate a love of learning and celebrate scholarship and high academic achievement. If you can get these key ingredients right then the rest will all fall in to place. Why I joined The NCS? I am excited by the challenge of creating an academically high achieving and innovative Sixth Form Centre that students in Newham will aspire to be part of. At the moment many of the most gifted students in Newham go outside the borough for their post 16 education which is a loss to the local community. 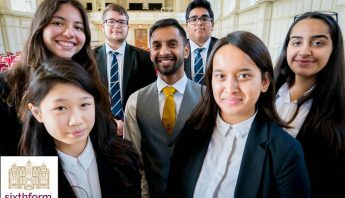 The NCS will focus on delivering traditional A Levels and an extracurricular programme that provides opportunities for personal and social development that will prepare young people in Newham with the knowledge, skills and experiences to join Russell group universities or internships within high status professions and companies. My results are consistently outstanding with students achieving beyond their minimum grade. Achieving grades A*-B has meant that the majority of my students’ received places at Russell Group Universities. As Head of Sixth Form I developed strong links with Oxbridge and Russell Group Universities where students were able to participate in master classes and revision classes led by undergraduates as well as being selected for summer school programmes. Welcome to the NCS. My promise to you is that you will receive a challenging and enriching experience during your 2 years at the NCS. You will be taught by outstanding teachers who are passionate about their subjects and who will inspire you to achieve. You will be taught in an academic learning environment which has cutting edge facilities and where you will be expected to challenge yourself. Our philosophy at the NCS is that education is the route to upward social mobility and an education at NCS will provide you with the tools and experiences that will prepare you to occupy future leadership positions in the professions and society. If our aspirations and beliefs match your own then take the time to look at our website and make an application. I look forward to meeting you. I am passionate about teaching Mathematics and I am committed to offering the best to students in East London. I strongly believe that students at the NCS will receive a learning experience second to none and I am incredibly excited to lead the Mathematics department in this. The NCS is committed to giving students the best opportunity of making successful applications to top universities. I fully share in this vision having attended a state school and gone on to study Mathematics at the University of Oxford. • 9 years experience teaching A Level Mathematics and Further Mathematics. A significant number of students from my Mathematics and Further Mathematics classes go on to study Mathematics at Russell group universities. A huge welcome to the NCS – arguably the most exciting place to study in East London. We aim to inspire you and help you to develop valuable skills in Mathematics and your wider thinking. The teachers of the Mathematics department are dedicated and passionate and will focus on innovative teaching and learning techniques so that your lessons are clear, structured and challenging. Your A levels are a bridge to the next phase of your life and we will strive to equip you with the skills needed for your future studies and beyond. I love teaching and in particular working with KS5 students because I can share with them my passion for the wonders of Biology! Therefore, I am very excited to have the privilege to work with the outstanding students of Newham. At NCS I look forward to working with staff that all have the same goal. At NCS we want to nurture our students to love learning, to become excellent academics and furthermore to develop as well-rounded good people who are independent, critical and analytical thinkers, problem solvers, innovators and leaders. I have taught KS5 biology for 6 years and I also work as an examiner of A level Biology papers. During my time as Head of Biology I have provided my students with many enriching extra-curricular opportunities. I have invited many speakers from excellent Universities to give lectures in school about their cutting-edge research. I have organised trips, including a trip to Japan (where students take part in research projects at universities there). I have supported my students to earn CREST awards by carrying out their own research projects and have also facilitated them to enter biology-related competitions, including a national competition in which all 3 of the groups I mentored were shortlisted as finalists and thus presented their work at the international conference of the Physiological Society and one of my groups won Silver medals. I know that if I could go back to being a sixth form student I would love all the opportunities that will be available at the NCS. At the NCS you will be inspired and challenged. We have very high expectations of you but rest assured that we will be there to support you throughout your two-year journey with us. We are determined to offer you the best possible education and excellent foundations to prepare you for your own future. I look forward to welcoming you to the NCS in September! I have been involved with the NCS since its inception, teaching Saturday classes and believe that it offers its students an exceptionally high standard of education the greatest opportunity to fulfil their potential. Its staff are incredibly dedicated, passionate and knowledgeable and I am very excited to be joining them. I look forward to sharing my passions for Maths and education with the students of the NCS. 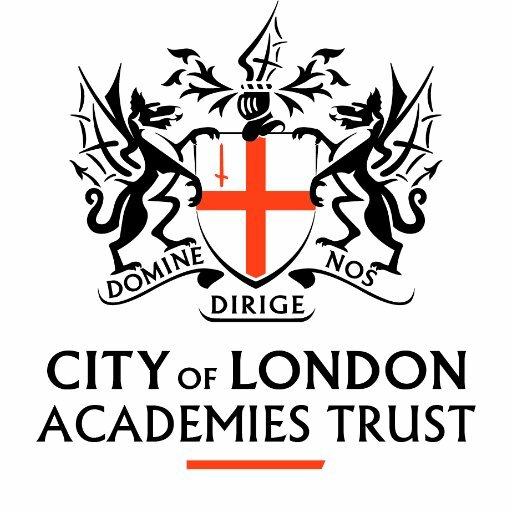 6 years teaching in East London, including four years teaching Maths, Further Maths and STEP classes at Seven Kings High School. I have spent the last year working as a trainee actuary at PwC, but have continued to teach Saturday Maths masterclasses at NCS. I have a track record of achieving excellent results at KS5 for both Maths and Further Maths, and oversaw improvements in KS5 results as head of KS5 Maths. My most recent set of Further Maths A-Level results were 100% A*-B in 2013. Many students I have taught have gone on to study Mathematical subjects at Russell Group universities including Cambridge, Imperial and Warwick. You have made an excellent decision to join the NCS. Here you will be inspired and supported to achieve the very best that you can. I look forward to working with you over the next two years and playing my part in your development. The NCS represents an extremely exciting and unique opportunity for both staff and students. At the heart of my decision to join is a shared belief in the Collegiate’s vision; that Newham’s brightest students deserve equal opportunity to achieve their chosen future pathways and make an impact on society. I am looking forward to working with outstanding, enthusiastic practitioners and motivated students towards achieving our shared aspirations of academic and extra-curricular excellence. Before becoming a teacher, I worked for eight years in the Media and Arts; producing documentaries and dramas for BBC Radio and in the Sound Department at the National Theatre. As a result, I am passionate about encouraging students to see Literature not just as a set of examination texts, but in the context of its wider cultural significance. During my time as Key Stage 5 English Leader, student attainment at A Level English Literature has been outstanding. These results have been under-pinned by extra-curricular opportunities such as debates, theatre trips, book groups, University taster days and guest-speaker visits. Many students have progressed to Russell Group Universities, either to continue their English Literature studies or to transfer their skills and knowledge to courses such as Law. As Deputy Year 12 Leader in my previous school, I also understand the importance of developing students’ range of experiences and opportunities outside the classroom. I have co-ordinated the 6th form enrichment programme, as well as promoting and participating in initiatives such as World Challenge, Projects Abroad and Sutton Trust Summer Schools. Your time at the NCS will coincide with two of the most enriching and pivotal years of your lives so far, both academically and in terms of your personal development. We have high expectations of your dedication, ambition and independence. We also believe you deserve every opportunity to achieve your higher education and career goals with our support and guidance. I look forward to meeting you in September to get started! I wanted to join The NCS because I had the privilege of being taught by teachers who created a work ethic where anything could be achieved if you put your mind to it. It was this drive that pushed me to succeed academically and I knew from then that I also wanted to inspire other young people to work hard and achieve their dreams and ambitions, hence I joined the NCS. As you may be aware I know many of the teachers at the NCS from my time at Seven Kings and to be part of an outstanding body of teaching professionals is a privilege. I am passionate about the sciences and more notably Biology, and my purpose is to encourage students to be curious about the subject and the world around them, to enthuse and engage students so they develop an inquiring mind, become independent learners and answer questions such as – how can something as simple as nucleotide be repeated to code for a protein and form something as complex as a human being? How is it possible for organisms to survive in temperatures which are usually considered unbearable? And what facilitates the body to accept a foreign organ so that it can continue to fulfil its purpose? I have taught Biology at KS5 and students in my class have achieved outstanding outcomes and attainment. The science department at the NCS is extremely strong, so if you are curious and have a passion for the sciences then you will definitely meet like-minded people at the NCS. I have been blown away by the opportunities that students have had this year from the numerous science weeks, the master classes and the science trips to Cambridge and Japan. Moreover, the quality of learning and teaching at the NCS is second to none and if you are looking for a first class education where you will be stretched and challenged whilst being amongst people who will care and support you on your A level journey then I look forward to meeting you in September. In short, I joined The NCS to be a part of an aspirational and stimulating environment. First and foremost: I am a biologist in love with biology, so it brings me great satisfaction to teach and help inspire those that are motivated towards an appreciation of the subject. Fortunately, there is no shortage of such students at The NCS: the college is teeming with keen and amiable students who are both a privilege and pleasure to teach. Having lived in Ireland and Denmark – two countries renowned for their secondary education – I am confident in my claim that the tutelage on offer at The NCS is world-class. It should come as no surprise: the teachers at the school are enthusiastic and highly-trained; they have all enjoyed an impressive university education themselves; and in many cases, they have had interesting careers before joining here as teachers. Furthermore, the resources on offer are tremendous – and I do not just mean iPads. The bespoke learning materials afforded to students are the cumulative result of thousands of hours of planning and past paper analysis, and are specifically designed for high attainment. I would like to contribute to the NCS’s vision, which is to become a centre of excellence by delivering high quality learning and teaching. I am delighted at the prospect of utilising state of the art facilities to provide a stimulating and engaging learning experience within a supportive environment. I am looking forward to working with enthusiastic, determined and highly able students and to have the satisfaction of making a valuable contribution to NCS by empowering and motivating students. I am ambitious and passionate to challenge young peoples’ minds and develop them into highly confident individuals who will be ready to take their place at a competetive university. I have experience of teaching a range of Science courses such as AS/A2 Chemistry, International Cambridge courses as well as Vocational courses at Level 3 in both Biology and Chemistry. Many of my students have gone to Russell Group Universities to study a wide variety of courses with great career possibilities. I developed the new International Cambridge Chemistry course in my current place of work, which was demanding and challenging and helped students to gain a substantial level of knowledge to progress on to advanced level education. As a pastoral tutor I have also supported and guided students with university applications and interviews. The NCS provides an atmosphere where high calibre and hardworking students can experience education in a stimulating and challenging setting. The NCS will provide you with exceptional support, which not only will allow you to achieve the highest grades possible but will provide you with necessary skills to cope with the challenges ahead in your chosen career. The NCS has already developed links with leading firms and with the most competitive universities in the country. You will have the chance to experience the world of work by taking part in placements and summer internships with employers. I am very confident that you will receive the best education here at The NCS. I look forward to welcoming you in September. I made the decision to join the NCS because I wanted to create and lead an outstanding Science department whose goal is to empower students with the tools to become the future leaders of tomorrow. I was born and educated in Newham (Little Ilford School) so I fully understand the demands faced by Newham students. I was extremely impressed with the NCS’s outstanding facilities, vision and commitment to providing world class learning and teaching to the most able students in Newham and surrounding boroughs. With over 20 years of teaching experience and a track record of outstanding science results, I instantly knew NCS was the place where I wanted to work. I am passionate and committed to providing NCS students with a wide range of extra-curricular science opportunities that stretch and challenge them to allow my students attend the most competitive universities in this country and abroad. I have a track record of delivering outstanding results with many of my students progressing onto Russell Group universities. I have also developed strong links with many of the leading universities in London and have given my students opportunities to participate in outreach programmes as well as science competitions and challenges. Choosing a sixth form is not a decision to be taken lightly especially as it will impact your future success and happiness. The class of 2014 will enjoy the luxury of studying in a building with an Oxbridge feel, cutting edge facilities, nine dedicated spacious science laboratories, access to a personal tablet and a university style lecture theatre. You will be taught by a team of experienced and dedicated teachers who are passionate, inspirational, pioneering and highly skilled at what they do. You can rest assure that the quality of learning and teaching by your Science teachers will be outstanding and our innovative science curriculum will . So if you have the hunger and desire to be taught by the best and really want to make your academic dreams a reality, then I suggest you take a close look at www.ncs6.org and apply. On behalf of all NCS teachers, may I use this opportunity to wish you the very best of luck with your GCSEs and look forward to meeting you in September 2014. When I first viewed The NCS website, I could see that the Sixth Form provided an exceptional post 16 education for its students. When I made my first visit I found that not only was the Sixth Form building magnificent, the students were motivated, encouraged by staff and had high aspirations, confirming my initial thoughts. The staff have a wealth of experience and have created a curriculum that results in students achieving both excellent A-level grades and having the skills to excel at university and in the work place, something few Sixth Forms do effectively. I am looking forward to using the superb facilities in the science department in order to develop students’ practical skills and theoretical chemical knowledge, alongside The NCS super curriculum, so that they become the next generation of ground-breaking scientists. I have taught both OCR A and OCR B AS and A2 chemistry. I ensure that students always see the real-life applications for their theoretical knowledge and “the point” of what they are learning. Congratulations on completing your GCSEs. Rest over the summer, but ensure that you arrive at The NCS truly understanding what you have been taught in your GCSE chemistry course. Studying chemistry at A Level is like building a house, each lesson builds on the last and if you do not have firm and solid foundations, your house will fall. The NCS will provide you with numerous opportunities for personal development and a high quality education. I am looking forward to meeting you and supporting you to achieve outstanding A level results and the skills you require to be successful in your chosen career. From my first visit, I was amazed by the hardworking ethos and positive attitude of all the students and staff at the NCS, and I am extremely excited to be joining such a fantastic community. I am ambitious and have the highest expectations of all of my students. Motivating young people, broadening their minds and helping them achieve is extremely rewarding, and is what drives me every single day. I am looking forward to sharing my passion for Chemistry and I hope to inspire my students to continue to study Chemistry at university and beyond. I have experience teaching A level Chemistry and pushing all my students to make fantastic progress. I am looking forward to specialising in KS5, as this is the part of my current job that I find most challenging and rewarding. Sixth form is an exciting time of your life, where for the first time in your life you get to specialise in the subjects you are really passionate about. Make the most of every opportunity and be prepared to work hard and hit the ground running in September. You will have to push yourself every day. In return, we can promise you outstanding teaching, incredible extracurricular opportunities and personalised support. I look forward to meeting you all and can’t wait to get started! “The mind is not a vessel to be filled, but a fire to be ignited.” ~ Plutarch. This is a favorite quote that has stood true to me for the last 12 years of my teaching career. It incorporates enthusiastic, reflective teaching and independent learning. Why I chose The NCS? It’s simple; to work as part of an outstanding team and help ignite the minds of our future generation. I believe every young person has the capacity to learn the appropriate skills with the right teaching and nurture. The challenge for teachers of all subjects is to make the subject interesting and accessible to young minds; one aspect of teaching that excites me is experimenting with different strategies to motivate and engage students. I have a thirst for teaching and helping my students achieve; as Henry Brooks Adams said, “A teacher effects eternity; he can never tell where his influence stops” and I am looking forward to being part of that ripple effect in our community at The NCS. I have a track record of delivering outstanding results in Science and being an experienced member of staff whom others turn to for advice and guidance. I have continuously strived to give my students the best possible education, enabling them to have a strong footing to get into the real world. Over the 12 years of teaching I have been responsible for leading many projects; from STEM enterprise projects, workshops at universities to inspiring trips such as visiting the LHC in CERN. Many students discover their true passions whilst at Sixth Form, and choosing the right post 16 provider can be a difficult choice, as it is a stepping stone to your future. Every aspect of Sixth Form is a learning experience, from meeting people from diverse backgrounds, participating in enrichment opportunities to developing the skills to do well and compete with the world outside. We at NCS will be here to support you in making your academic vision become reality. I am looking forward to meeting you all in September and getting the ball rolling! When I first visited the NCS I was blown away by the atmosphere of hard work and dedication form both staff and students. The chemistry department in particular really impressed me. The excellent facilities coupled with outstanding teachers and support staff make for an extremely effective department which I was very keen to be part of. I used to be a researcher and tutor at Oxford University, and working in the admissions process I saw first-hand the barriers which prevent many gifted students from attending Oxbridge and Russell Group universities. I hope to help NCS students to access the very best higher education. Your A levels are a very important time of your life. In order to open doors for yourself and access all the wonderful opportunities which await you after school life you must buckle down and do some hard work. However, finding time for yourself to relax and do the things you enjoy is very important to, otherwise you’ll burn out. The most successful A-level students are those who strike this balance. I have been teaching Physics for 13 years and have a deep passion for my subject, particularly working with A level students. This was a great opportunity for me that I just couldn’t allow to pass me by. 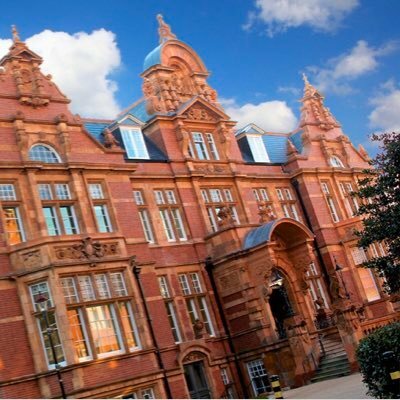 Working exclusively with KS5 students, where I can share with them my passion for the wonders of Physics, working in a wonderful new college, the NCS, and having the privilege to work with the outstanding students of Newham. At NCS I look forward to working with staff that all have the same goal. At NCS we want to nurture our students to love learning, to become excellent academics and furthermore to develop as well-rounded good people who are independent, critical and analytical thinkers, problem solvers, innovators and leaders. I have taught Physics at A level for the last 14 years now, and I have been the head of KS5 Science and head of Physics for 7 years. During this time I have been involved with enrichment of physics inside and beyond the classroom. I organised trips to various physics related events, such as visiting power stations, attending physics particle physics master classes and physics in action day events. More recently I arranged a trip to visit the large Hadron Collider at Cern, Geneva. I would like to pass on my passion for Physics, to demonstrate how rewarding it can be and the many doors it can open for you. I hope you can join me on that quest. BSc in Physics, Queen Mary University of London. PhD in Solid State Physics, Queen Mary University of London. I joined the NCS because of the core values that the Sixth Form holds; especially the positive learning environment shown throughout the organisation in terms of teamwork, and the absolute commitment, respect and passion for learning displayed by all the students. There is nothing more beautiful than teaching my subject and sharing my passion amongst students who are eager to learn new things every day. From the moment I showed an interest in working at the NCS, it has been very evident the degree of support offered by the leadership, academic faculty and administration staff alike, so I feel very privileged to become part of such wonderful and highly professional group of people. At the NCS, I look forward to working with such a diverse and outstanding group of students. From my part, I will be fully committed to nurturing my students’ curiosity and thirst for learning, as well as helping them to develop the skills needed to face the challenges that they will for certain encounter at university and later in their careers. Core Mathematics 1, 2, 3 and 4. There really isn’t a more exciting time to be studying physics than now! You are embarking on a quest to help us find the ultimate physical laws of nature. This is of great importance for understanding our own place in the universe as well as finding future technologies that will be vital for the survival of all the species living on our planet. Does the universe have a beginning, and if so, will it have an end? Where did life in the planet come from? Is there life in other planets either inside or outside our solar system (or even our galaxy)? What is the nature of reality according to the laws of quantum physics? At the NCS, we will work hard to give you the necessary tools to put you on the right path to help us find answers to some of these questions. Welcome to the wonderful world of physics! I believe in equality of opportunity. I also believe that education is the most significant influence in creating opportunities for young people. I am therefore extremely excited at the prospect of working at NCS and being part of a group of teachers who have extremely high expectations and aspirations for the young people of Newham. The NCS will be a hotbed for innovative teaching and I look forward to be able to use the state of the art facilities to develop an outstanding environment for learning. My vision, which resonates with the NCS’s, is for students to become resilient and self-confident young adults who after spending two years at the NCS will leave as curious, independent and dedicated scholars. Over the course of the previous academic year I have implemented extracurricular opportunities which include master classes at Russell Group Universities, entering teams into national mathematics challenges and supporting students’ applications for Oxbridge summer schools. A big welcome to all prospective students at the NCS. I have no doubt that your decision to spend the next two years here will be an enjoyable and rewarding one. A Levels are not just a stepping stone to University, they offer a chance to build intellectual depth in the subjects you enjoy and at the NCS we will offer you an environment where all teachers are passionate and excited by their subject. We will create an atmosphere where a love of learning is the norm and you will be given the opportunity to develop your interests and passions unrestrained by course specifications. We have a beautiful building which will be filled with inquisitive, ambitious and hardworking students and will allow you to develop into young adults who are not just ready to face the world but to go out and change it. I joined The NCS to work at a school where young people are provided with an environment that enables them to develop as learners and achieve their academic potential. I am passionate about my subject and I want to do my best to inspire students to be similarly enthusiastic about mathematics. Today’s students are the people who will help to shape the future of our society. To do so most effectively you must do your best, this is all anyone can expect of you and you should never expect anything less of yourself. At the NCS your teacher will do their best to help you achieve your potential and help you develop your ideas and ambitions for the future. 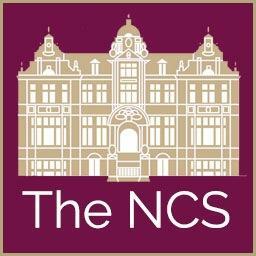 I decided to join the NCS to be a part of an outstanding experience for students in sixth form. Having studied and taught in Newham I know of the limitless potential Newham students have, as such I want to be a positive factor in students’ academic and professional development. The NCS not only provides resources and tools for students to reach their academic potential but also provides high quality enrichment programmes to prepare these young adults for University and their future careers. As such, I am excited to meet and teach future NCS students and help facilitate their academic and professional development. I highly value the importance of education and share the vision of the NCS in challenging our students to become the best of what they can be, pursuing outstanding universities in the UK and abroad and committed to high quality teaching and learning. I am an ambitious individual and I always aim to instil in my students high aspirations and ambitions. Having previously worked in Deloitte and Harrods International Finance department, I have a strong commitment to prepare NCS students for high profile careers with particular focus on raising the level of students from disadvantaged backgrounds entering into such careers. I will aim to utilise this skill at the NCS and I am confident I can assist my students in their professional and academic aspirations. A hearty welcome to our leaders of tomorrow. Choose your path wisely and aspire to overcome the obstacles that are in your way of greatness. Welcome to a sixth form where you will be challenged, engaged and motivated to achieve, I wish you all the best for your GCSE examinations and I am eager to meet you all to start this exciting journey together. As a maths teacher, I am passionate about teaching students how to develop their critical thinking when facing maths problems. Challenges should not be feared, but considered as exciting opportunities to learn and widen the horizon of our knowledge and logical thinking. The study of maths helps to develop a wide set of skills that are highly transferable in several other disciplines and important in our daily life. With that focus in mind, my aim is that of creating an environment where students can express their full potential as mathematicians and thinkers. Here at NCS, I am excited to work as part of an outstanding team of teachers, who have very high expectations for their students and strongly believe in their ability to excel academically. My aim is to contribute to building the foundations that will sustain our students in their academic pathway and future careers, as well as throughout their lives. As a Bangladeshi growing up in Tower Hamlets, I am sensitive to the hardships and diverse needs of families from inner-city deprived areas. I believe that an outstanding institution like the NCS, with high quality teaching and learning, has a real positive impact on the academic and professional prospects of their students. I am excited to join the mathematics team and contribute to the success of NCS. The chance to nurture and challenge young students to love learning and embrace opportunities, coupled with the prospect of working with such a talented team of professionals at the NCS is a combination that I am looking forward to. I have always been passionate about motivating students to enjoy mathematics and problem-solving, and at the NCS I feel that I can develop this further with an outstanding group of young individuals. I have experience teaching Mathematics from KS3 to A–Level Mathematics, ensuring all my students make outstanding progress in their learning. I have also been a sixth-form tutor where I have supported with pastoral issues in further education, organised mentoring sessions as an opportunity for students to enhance their sixth-form learning, encouraged participation in extra-curricular activities and given guidance in the process of applying to higher education courses through UCAS. Choosing the right college to study at is an important decision, and I am thrilled that you have chosen to join us. At the NCSyou will get an outstanding education, and find the support you need to succeed in college. I look forward to working with you in September. I want to work in a rigorous academic environment, where I’m intellectually challenged and professionally pushed. I also wanted to work somewhere where I could see education doing what it should do: providing new opportunities to young people from challenging backgrounds. The NCS is unique in fulfilling both these criteria. Its buildings, staff, and equipment give off the ambience of an Ivy League college, but it takes in local students from the Newham area. The NCS is built on the idea that success in life (NB: life, not exams) should not be about your background, inheritance, or connections, but your attitude, aptitude, and graft. That’s an idea I share and an idea I want to promote; that’s why I joined the NCS. I look forward to meeting you all in September. In two years’ time, when you leave us, you will not just be an expert in your field but the owner of a rigorous, elegant, and voracious academic mind. But we can’t build that from nothing. Bring your drive and determination for long hours at the coal-face. Bring your curiosity, wit, and eye for a problem; economics will challenge you to see issues and solutions that you’d never noticed were right in front of you. Bring your wildest goals so you can watch them become reality. As a passionate and experienced teacher, I knew from my first visit that the NCS was an institution that could inspire and change lives. The supportive ethos combined with academic challenge and excellence is reminiscent of my own teaching style; the opportunity to educate young people in such an environment was one that I simply couldn’t resist. I am highly excited at the prospect of working alongside dedicated and talented academics – students and staff – in an innovative and progressive learning environment. I have a track record of producing outstanding results, with a number of my students progressing onto Russell Group universities – or Oxbridge – to study Literature or complementary Humanities based subjects. Alongside this academic success, I am proud of the love and enjoyment I have encouraged in students so that they consider Literature and the Arts a lifelong passion. Congratulations on achieving superb GCSE results and for deciding to attend The NCS: your choice guarantees a memorable, rewarding and exciting 2 years ahead! I look forward to meeting you all in September and seeing your academic passions and interests grow, as well as witnessing your blossoming into successful and wonderful adults during this special and transformative time. Think big and dare to dream: you can accomplish anything! I firmly believe that every young person should have access to an outstanding education, so I joined the NCS to be part of a centre which is committed to excellence and consistently outstanding teaching and learning. The NCS celebrates academic rigour, so by working here I’m able to pursue my passion for Geography and support the development of future global citizens. There are also a wide range of opportunities outside of the classroom which I believe is important for every Geographer. I hope to inspire NCS students to study Geography at the world’s leading universities and empower them to benefit society. Education, the engine of social change and economic development, is the best investment a country can make in its future. At the NCS, I am enthused about joining a team of dedicated and outstanding professionals backed by fantastic facilities and enervated by an aspirational philosophy. I look forward not only to delivering academic excellence but a new generation of confident, independent and socially responsible citizens with the skills and desire to shape the world around them for the better. Education, in my opinion, is the best way to empower young people. I am excited to work in a place that nurtures and encourages students to be the best they can be and does not see their postcode as a barrier to success. The NCS focuses on students as a whole to nurture well-rounded, resilient and independent individuals as well as successful academics. I look forward to being part of this process and can’t wait to start working with the exceptional students and staff at the NCS. In every subject that I have taught, the overwhelming majority of my students have achieved exceptional results. I believe that it is vital for students to develop excellent exam skills and be aware of their own progress and targets in every area of the course. Outside the classroom I have organised careers events and input sessions to encourage students to develop the confidence and networking skills essential for life after Sixth Form. You have chosen a path that will lead you through hard work to success. Here you will be surrounded by dedicated staff and like-minded students. Here you will grow into a confident young adult and successful academic. I encourage you to see this as the most amazing opportunity to flourish so be ready to make the most of all NCS has to offer, have high expectations of yourself and those around you and never stop striving to be the best you can be. Welcome to the NCS. Mr Bounds – Teacher of P.R.E. The NCS is an incredible institution. It gives those students who want achieve the best the opportunities, skills, confidence and A Level results that will allow them to get into – and thrive at – the best universities in the country, as well as become the leaders of tomorrow. I firmly believe that social background should be no barrier to success in life, and the young people of Newham deserve every opportunity to fulfil their considerable potential. To be able to help them do so is an honour and a privilege, and I look forward to sharing my passion for Religious Studies and the transformative power of education with the staff and students of the NCS. I have experience of teaching Religious Studies A Level to students for many years, and have taught a wide range of modules and exam boards. Congratulations on having worked hard to achieve excellent GCSE results and on having chosen a sixth form centre that will inspire, support and challenge you. I look forward to working with you over the next two years as we explore some of the biggest philosophical and ethical questions humanity has ever asked and study many of the fundamental tenets of the Christians faith. Religious Studies is a rigorous and thought-provoking A Level that will transform your perception of the universe and mankind’s place in it, provide you with the analytical skills to construct and evaluate logical arguments, and give you a philosophical mind-set that will ensure that you approach your other subjects with exactitude and intellectual integrity. We are always on the look out for highly ambitious and talented teachers who share our philosophy on education and want to make a real difference to the lives of young people. We believe firmly in the transformative power of education and are keen to meet potential colleagues who want to be involved directly in the creation of something quite unique and special. If after reading our website you feel you could help us achieve our vision then we would really like to hear from you. If you have an idea that you think we have missed and you wanted to share it with us please do as we said we are always looking to improve and get better at our core business which is learning and teaching. If the work of the NCS appeals to you, why not come to visit and get first hand experience of what we are doing and how you might contribute. We look forward to hearing from you. NCS students also benefit from a network of ambassadors.